Royal Dutch is doing exactly as expected. See previous blogs. 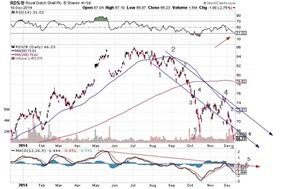 At the time, of course, it was not clear what would cause such a dramatic drop in such a blue-chip, widows and orphans type of stock, but now we know that it might be a 40% drop in oil itself in just a month or two. This stock came from $87 and traded below $66 which is just shy of 25%. 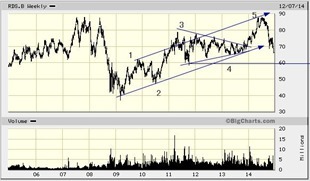 It has not even finished it’s first leg down which should take it close to $60, the bottom of the triangle pattern. 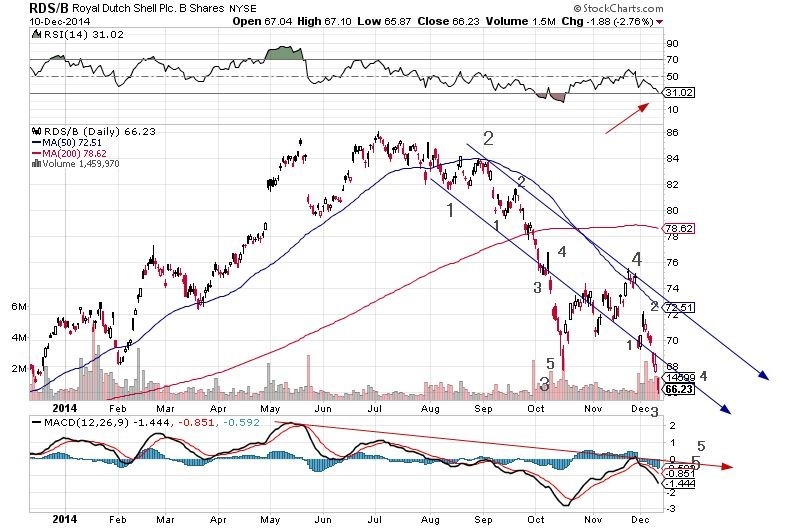 The RSI is not yet oversold so give it a little more time. 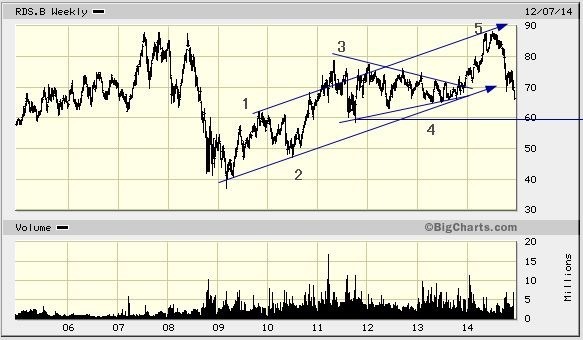 Ultimately the target is much lower at <$40.